ENT Memphis (Memphis) - Book Appointment Online! 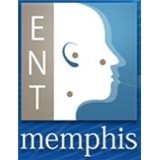 ENT Memphis provides comprehensive care with a primary focus in ear, nose and throat disorders, including ear infections, throat infections, tonsil infections, and sinus infections. Our physicians are also experienced in adult and pediatric sleep apnea and snoring disorders and surgery and adult and pediatric sinus disorders, as well as hearing problems and children's disorders of the larynx. He was very objective and to-the-point. That is usually a positive thing, but when delivering news that might change the rest of a patient's life it might be nice to soften the blow a bit.